Being given a second chance at AFL level was more exciting for Tom Campbell than being drafted. Campbell was stranded in the "footy wilderness" for nearly two months after he was delisted by the Western Bulldogs at the end of last season. Although he had only recently turned 27, the former rookie knew his time in the AFL could be up after 42 games over seven seasons at the Whitten Oval. Campbell was prepared for life after football, but was determined to exhaust every avenue before giving up on his career at the highest level. The ruckman had encouraging talks with Essendon about moving to Tullamarine in the inaugural Pre-season Supplemental Selection Period (SSP), but the Bombers ultimately decided to claim former Docker Zac Clarke. 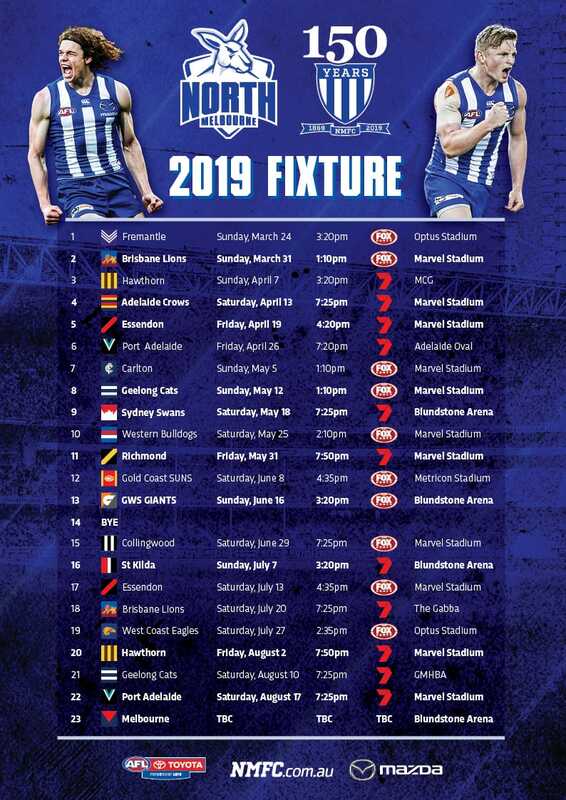 Campbell barely had time to register the disappointment of that near-miss before another opportunity materialised, this one with at North Melbourne. For that, he could thank his former Bulldogs teammate Will Minson. Minson had spent five seasons alongside Campbell at the Kennel before retiring at the end of 2016. The 2013 All Australian joined the Kangaroos as ruck coach ahead of the 2018 season and when the club was looking for a ruckman following Braydon Preuss' departure to Melbourne last October, Minson went into bat for Campbell. "The discussion with North Melbourne happened really quickly. I think it had a lot to do with my relationship with Will Minson," Campbell told AFL.com.au. "He's our ruck coach here and it's been fantastic to re-engage with him and work with him in a different professional capacity. "I think he really advocated strongly for me and I came in and had a meeting with Cam Joyce and Brad Scott, and things moved fairly quickly from there." "It's never nice being in the footy wilderness, but I really thank the Bulldogs for giving me a start in my AFL career, that was home for a long time," Campbell said. North signed Campbell shortly after the SSP opened on December 1, a moment the ruckman cherished more than being selected by the Bulldogs in the 2012 rookie draft. "The first time you get drafted into the AFL it's really exciting, but I think the second opportunity meant a lot more. "I've got a lot of footy left to play and a lot to give and I just felt like I didn't quite get the opportunity to show it. "For North Melbourne to show the faith in me and give me that chance, it just means so much." North is just as pleased with the start Campbell, 200cm, has made at Arden St. 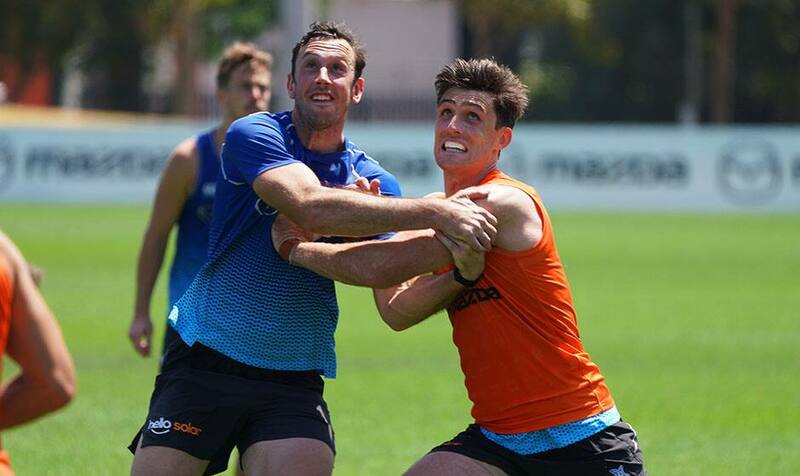 The former Dog has impressed on the training track this summer, particularly in match simulation when he has gone head-to-head with the Roos' No.1 ruckman Todd Goldstein. In a session on Wednesday, Campbell showed he is also capable of providing a strong target in attack, having drifted forward to kick several goals. He is also working overtime on the defensive side of his game, knowing a ruckman who can't play his part in team defence can be a liability. That said, the reality is North has preferred to play one ruckman under coach Brad Scott, with Goldstein ably shouldering that heavy load for some time. However, some AFL coaches believe clubs will be more prepared to play two ruckmen in the wake of this year's rule change governing centre bounces, reasoning that with defenders and forwards now required to start inside the 50m arc, the competition's big men will have more time and space to exert their influence. Campbell says it could take up to two months before clubs work out their best ruck structures under the new rules – and he is not looking anywhere near that far ahead. "West Coast won the Grand Final last year with two ruckmen, so it's possible to play with two. I think you just need two ruckmen who are playing at a really high level to be able to do that," he said. "For me, it was about just coming in and putting my best foot forward on the training track. You want to earn the respect of your new teammates and coaches. "As far as specific goals for me, it's just getting into the best nick that I can and just playing the best footy I can week in week out. "All I can do is put my best performances on the park and see where it takes me."